Too many parents watch their children struggle with early reading skills and don't know how to help. Phonics programs are too often complicated, overpriced, gimmicky, and filled with obscure educationalese. 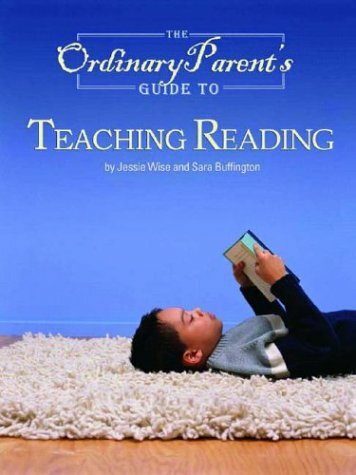 The Ordinary Parent's Guide to Teaching Reading cuts through the confusion, giving parents a simple, direct, scripted guide to teaching reading from short vowels through supercalifragilisticexpialidocious. This one book supplies parents with all the tools they need. Over the years of her teaching career, Jessie Wise has seen good reading instruction fall prey to trendy philosophies and political infighting. Now she has teamed with dynamic coauthor Sara Buffington to supply parents with a clear, direct phonics program a program that gives them the know-how and confidence to take matters into their own hands.